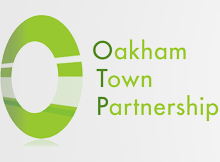 Oakham Town Partnership is committed to protecting and promoting the interests of Oakham Town; helping to sustain its vitality and economic viability ensuring it remains an attractive place to live, work and play. Oakham has many specialist independent shops where you are sure to find prefect presents, pampering sessions and chic clothes and accessories, not to mention a great array of household goods and services. There’s a great range of excellent cafes, restaurants and bars for you to meet up with friends, have a leisurely lunch or linger over a special evening meal. For Dates Times and information on specific events please visit the Oakham Town Partnership website.